Duran Duran theme song . 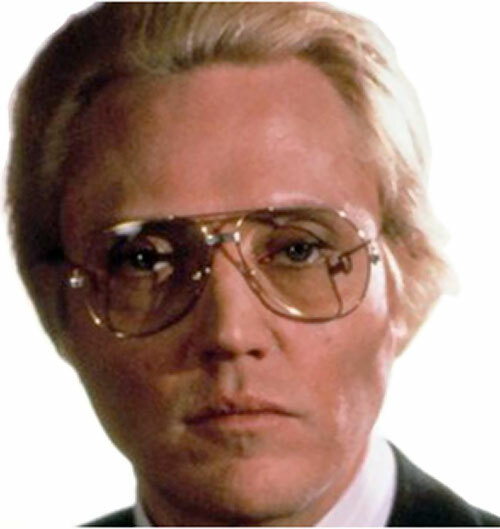 Christopher Walken as super-baddie Max Zorin. 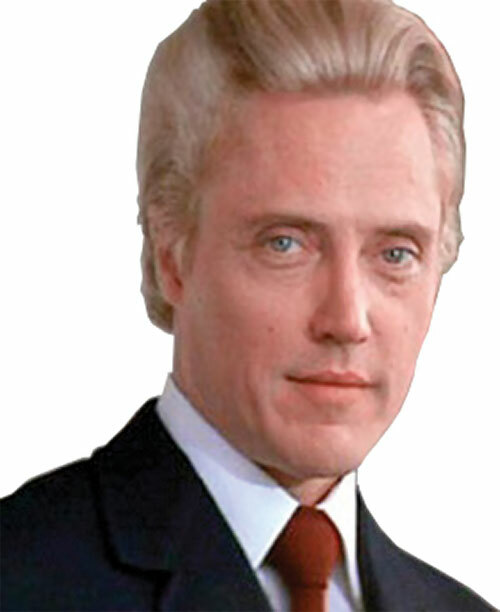 Zorin is a successful Nazi genetic experiment, a psychotic genius villain, a perfect Bond opponent… and well, Christopher Walken. 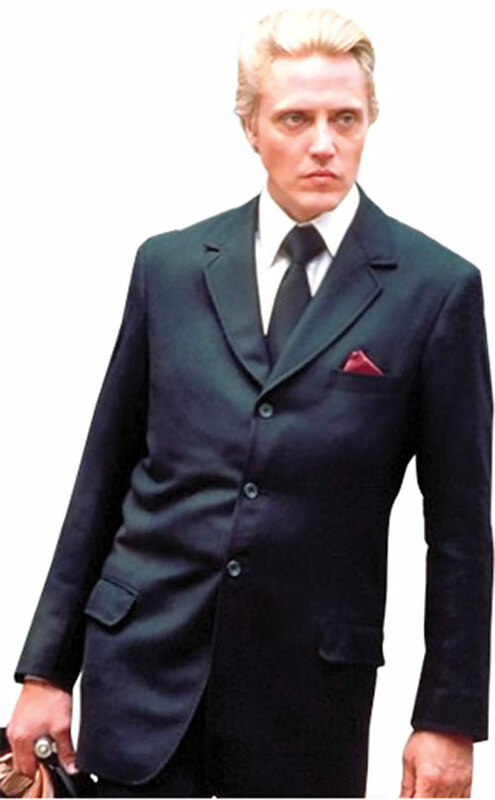 Real Name: Maximillian “Max” Zorin. Known Relatives: Dr. Carl Mortner (creator). Group Affiliation: CEO of Zorin Industries. Base Of Operations: France, mobile. 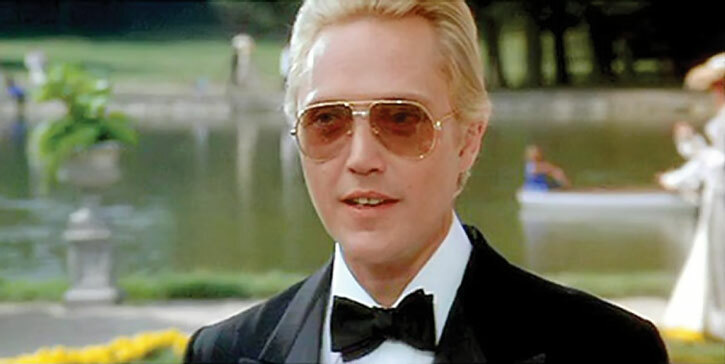 Max Zorin is a genius and wealthy businessman possessing a wealth of many millions. He is unusually multi-talented, with a background working with the KGB, the high-tech industry, horse breeding and other matters. Zorin’s stud farm is an expansive and ornate estate in France where he and Dr. Carl Mortner breed their elegant race horses. Beyond the château, Zorin travels in style, aboard attention grabbing zeppelins. The largest of these is fitted out with a very expansive boardroom, and sleeping quarters for all. Plus a nasty staircase that sees disagreeable business associates slide to their death. Zorin usually packs a small firearm or a melee weapon. He will arrange for more powerful weapons if he intends to perform some mass slaughter. Everywhere he goes his henchmen Mayday and Scarpine follow, along his aging mentor, Dr. Mortner. Well spoken and extraordinarily intelligent, but with a sharp temper and a clinical background. Zorin has risen to become a powerful businessman bent on crippling his competition and forming a monopoly. 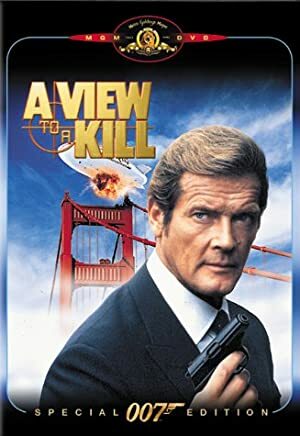 Manic mood swings and a blood-lust psychopathic tendency leave this villain one of the most dangerously unpredictable Bond has crossed paths with. Dr. Mortner, his creator, is like a father figure. Although Mayday was an excellently loyal and competent henchwoman, Zorin had no qualms whatsoever to sacrifice her for his plans. He would likely do the same against Scarpine, his Head of Security. Even though Scarpine was also completely loyal and nothing more than his unthinking right-hand-man. 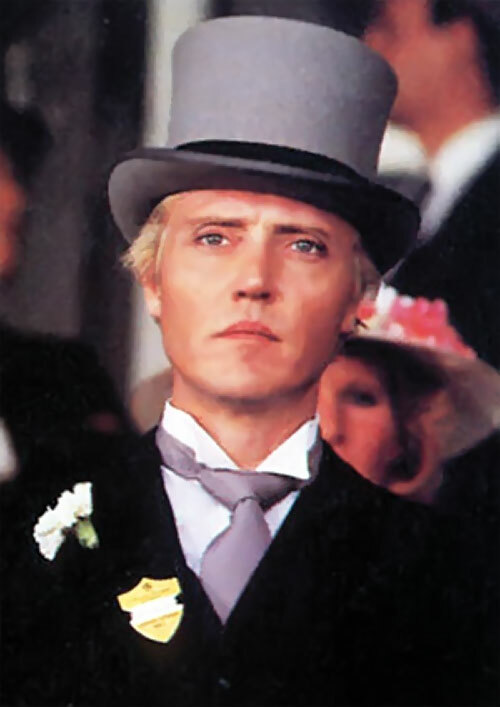 Clearly, Zorin is vindictive and can change his allegiance at the drop of a hat if it fit his grander scheme. Always looking out for number one, nobody is beyond being sacrificed. Although he is prone to design death-trap like endings to the opposition, he is very fond of ending the threat personally by the use of firearms or melee weapons. He will like a lunatic while doing so. Although by his public persona he is a distinguished and sharp businessman, his business dealings are shady, to say the least. This villain will brutally close a business deal if negotiations do not go his way. His wealth is undisputable. He associates with a range of businessmen from a variety of countries to gamble on the most unlikely investments – often with outstandingly lucrative consequences. 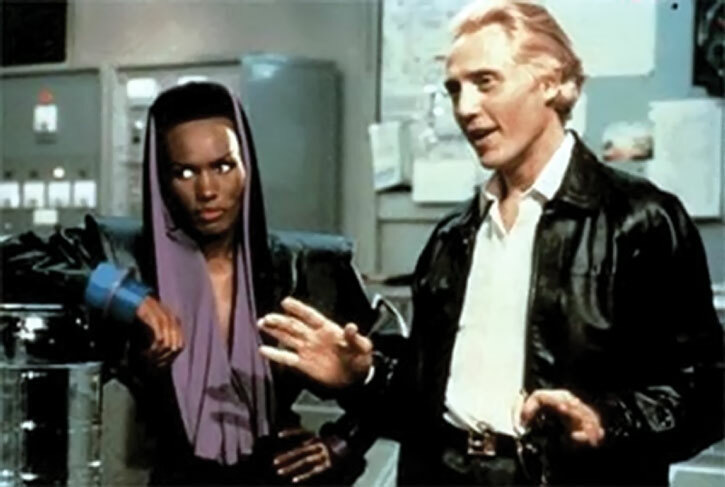 Despite his massive entourage, Zorin harbors a compromising secret. Max has been providing intelligence about the UK and American governments. He passes information to the KGB in exchange for a silent helping hand in business. This is a large chink in his pride if his associates found out. Connoisseur, Expertise (Horse Breeding), Henchmen (Mayday, Scarpine), Language (French, German, Russian and one more unidentified), Scholar (Business). Dr. Carl Mortner (High), the KGB (Low), Zorin Industries (High). Dark Secret (Spy dealings with the KGB), Overconfidence. 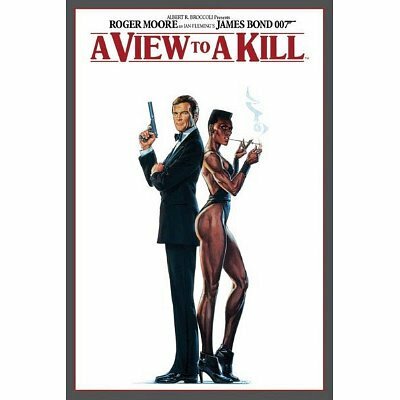 Source of Character: A View to a Kill, character played by Christopher Walken. Writeup completed on the 27th of November, 2010.